Jacquard with a contemporary Geometric Pattern in Metallic Silver, lifted on a Coral background. There is a great drama to this piece. Made of a high quality Cotton/Rayon/Polyester/Lurex blend. France, 60″ wide. 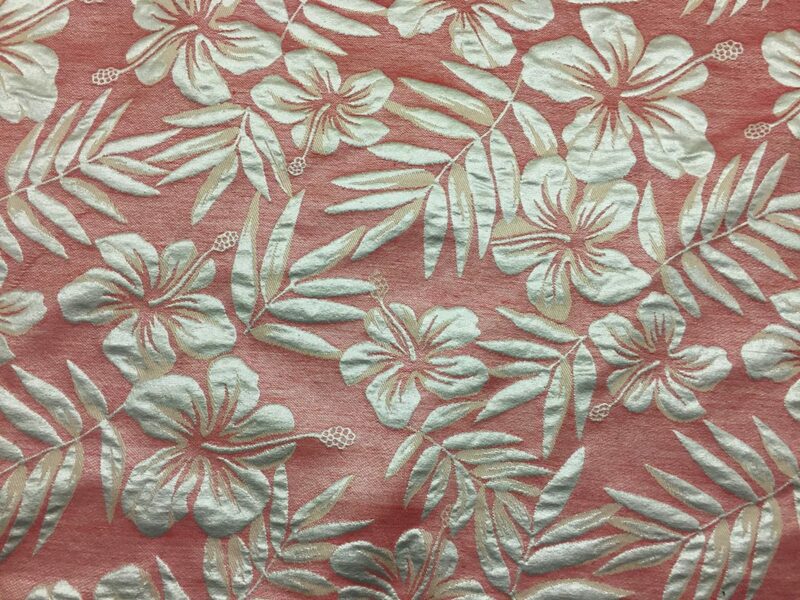 Superior quality, this is a mid weight jacquard, not particularly stiff that could make up into a beautiful jacket, dress, skirt, suit, gown or pants. A 2 1/4 Yard Piece.